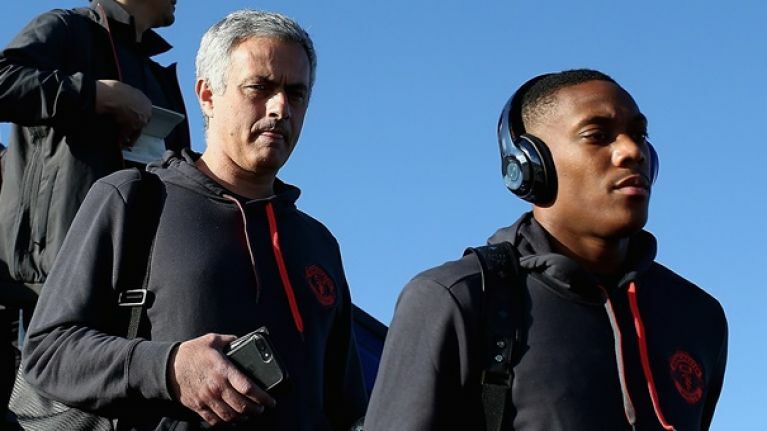 Manchester United forward Anthony Martial has said that new manager Ole Gunnar Solskjaer has instructed him to attack more since his arrival at the club in December. Solskjaer has yet to lose a game as the club's manager with 10 wins from his first 11 matches in charge and it's a stark contrast from where the side were under former manager Jose Mourinho when the club had won just one of their last six games under the ex-Chelsea boss. United are now preparing for a round of 16 Champions League tie with PSG on Tuesday and Martial has said that life at Old Trafford has been a little bit easier with Solskjaer at the helm. "He is asking me to attack more," Martial said on Monday. "That is my job after all. To make the difference to be more decisive. Things are working out well for the other attackers and I hope we can continue to be as effective. "We have got a coach who has different intentions [to the previous coach] and we are trying to do what we asks. Perhaps it is easier to play this style of football and not the style of football he asked. "Obviously things are going really well, we are really happy to have him (Solskjaer) here and we hope we can continue but the final decision isn’t with us. "When our new coach came in he had a lot of confidence, a lot of determination, that was really helpful. We are trying to pay him back in kind and things are working out well at the moment. We hope they will tomorrow." Ole on whether Man Utd can win the #UCL: "I think this squad is very capable of winning any game." Paris Saint-Germain have been dealt another significant injury blow ahead of their trip to Old Trafford with striker Edinson Cavani now set to miss the first leg in Manchester after injuring his thigh during PSG's 1-0 win against Bordeaux last weekend. The Uruguayan's loss follows the news that fellow forward Neymar will also miss the trip with a foot injury.